On Feb 17, 2017 – yet again – another Japanese court sealed another set of children behind iron gates in the isolation cell of Japanese state-supported child abduction. The case was a different one, but the scenario of abduction-by-court remains the same. In this instance, Hitomi Arimitsu took four children to Japan, where she has refused for two years to return them to their home in the United States. The oldest of the children at this time are 13; the youngest, 8. As in virtually every other case of Japanese international child abduction, the children, born and raised abroad, were taken to Japan under the pretense of making a family visit that quickly turned into resettlement of the children against the will of their other parent. I do not know if this case is one that was as extensively premeditated as Rui’s kidnapping in 2010, but it remains nonetheless a kidnapping. Go on with the abductions. Go on with the bizarre and cruel form of exclusionary custody granted to Japanese parents after a kidnapping. And go on overturning attempts to alter that structural practice. There is no danger here; no risk to Japanese officials involved in doing so. No meaningful defense of children is coming to Japan from abroad. The message was received. The children, they made clear to the courts and the Diet, have been taken into Japanese possession like bits of territory; and their non-Japanese families continue to be permanently expunged, like a blood stream clearing itself of the wasted cells of a dead virus. Once again, Japanese purity is immunized against the presence of the foreigner. What the story makes clear is that the mother is in contempt of both the lower Japanese court, and U.S. courts, which previously ordered the children home and gave the father access to Japan’s court system. She was then allowed an appeal of the decision which had initially gone against her as the abductor. Given that Japan with tragicomic absurdity adopted a law in 2014 allowing appeals of Hague case decisions – in clear violation of the Convention’s stated intention to bring abducted children quickly home in order to lessen the damage to them and their families – the belief is hereby reinforced that Japan has long intended and continues now to reward criminal behavior taken against parents and their children. There is no legal remedy, and no escape from Japanese abductors as long as elaborate ruses and global collaborations between national states remain as they are with children as the pawn of all priorities. With the support and connivance of the U.S. Department of State in the forefront, Japan’s inclusion into and implementation of the Convention is a predictable debacle. Japan’s regime of child abduction belongs in the global history of communal violence that extends ever more forcefully into our time. “Dude, where’s my country?” is even darker than it first appeared. When is a law not a law, and a treaty not a treaty? When is a long-sought-for agreement not an agreement at all? When do beings count and their relations carry weight? And what tells us when they are already presumed to have been expelled? We are feeling the pull of a deepening sink hole today. The powers of institutional forces are intensified in their capacity to defy and deceive the information of our senses and knowledge until our bearings escape us. Facts, or what used to be, now vie with “alternative facts” for our attention. What were once presumably if exaggeratedly transparent forms of communication have become something called “fake news” in public, and lives are now said to have been replaced by “campaigns” loaded with instrumentalized “messaging.” Ordinary us; we know this. Thinkers (Hayden White, among numerous others) have long warned us about the perils of failing to examine the assumptions behind the correspondences we presume to affirm between representations and the objects we study to explain. It was as a parent of an abducted child that I came to understand that the coordinates were slipping. I became aware of the falsity of representations (state, law, sovereignty, society, boundary, safety) in a newly profound way, thanks in no small part to a descent into hell. This was the moment when lessons as old as Homer, as recent as Freud’s and Fanon’s revealed themselves. Like ancient astronomers, by our measure we are standing on the firm surface of the earth while knowing that we are hurtling through space. What can the GPS do to reassure us once the cold speedy movement is outed, and begins to make our knees tremble? The incompatibility and undermining of representations upend us. Unknown knowns lurk, ready to traumatize us as they are exposed. Once water has been sucked from the deep earth, where is it we can still find a grip on ground that is sinking down into salt? 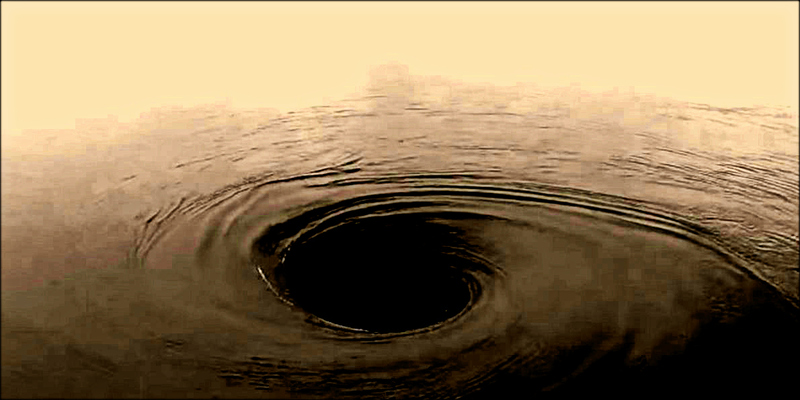 Atop the sink hole, we have to first know that we are standing in it and grab for a life line sans guarantees. Even so, let’s do that. It’s late.